The phrase "sustainable practices" has become commonplace in many industries. Consumers are increasingly seeking out ethical sourcing practices when making purchases. Whether it is food, clothing or makeup, people want to know what kind of labor was used to create the product. Were any animals harmed during the process? Could any of the labor be considered inhumane? When it comes to the food sector, industry leaders are hearing these consumer demands loud and clear. In response, many leading fast food chains have pledged to make the switch to cage-free eggs. The latest companies to join the move are Taco Bell, Jack in the Box and General Mills. These new commitment statements follow similar promises from powerhouses such as McDonald's, Starbucks and Chipotle. Earlier this month Taco Bell announced its plan to become completely cage free by December 31, 2016 in a company statement. The business owns over 6,000 restaurants in the U.S. The rapid switch to cage-free products will undoubtedly be a challenge. While many other companies have set out 10-year plans, Taco Bell has committed to making the same move in a year flat. According to the statement, Taco Bell is expecting to be the first fast food restaurant to execute the switch. 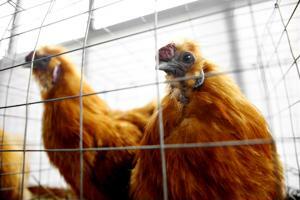 The company also noted that this change will help benefit around 500,000 hens annually. Taco Bell's announcement is an interesting development considering recent criticism. The fast food powerhouse, owned by Yum! Brands, was subject to questions when it came to sustainable practices as of late, reported The Washington Post. "When you look at the major fast food brands, Taco Bell really stands out," explained U.S. Director of Compassion in World Farming Leah Garces, according to The Washington Post. "They're the only big player in the United States that doesn't have plans to change how it sources its food." The source credited this in part to the restaurant's low pricing points. A switch to sustainable supply chain practices should cause price bumps that would be unwelcome by consumers. Clearly, Taco Bell has taken the criticism and flipped the switch. Now, the company stands to be an industry leader with its quick turnaround time. Taco Bell's statement largely credits this to its sturdy supply chain relationships. "Delivering a sustainable and safe egg supply to Taco Bell restaurants nationwide in one year is possible due to the brand's large yet flexible infrastructure, and years of close collaboration with our partners," said Taco Bell's Chief Food Innovation Officer Liz Matthews. While the timelines for Jack in the Box and General Mills are about 10 years longer, the moves towards cage free eggs are still notable achievements in the world of sustainability. Jack in the Box released a company statement outlining its projected goals. In a combined effort with leading industry groups and supply chain management, Jack in the Box aims to have a majority of its locations serving cage-free eggs by 2020, with a full transition by 2025. The company stresses that while it is not directly responsible for the upbringing or processing of animals, it has clear standards for suppliers throughout the supply chain. All relevant parties must adhere to industry and government regulations regarding animal welfare. General Mills has projected a similar timeline. While the company did commit to cage-free eggs in July, it was only in early November that General Mills specified a date, reported Fortune. The company aims to be 100 percent cage-free in all U.S. products by 2025. General Mills also committed to keeping a clean supply chain across the broad, with promises regarding restricted antibiotic use and humane treatment of all animals.